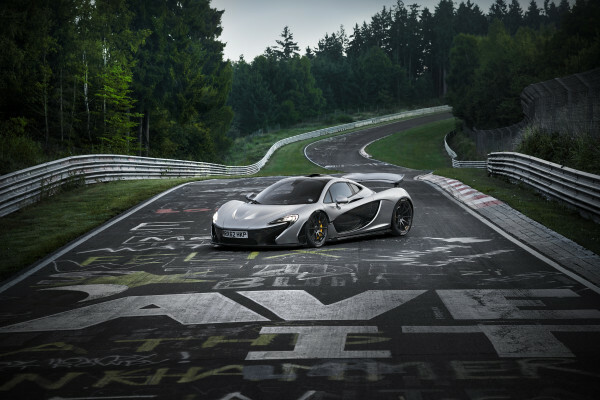 McLaren Automotive is touting that its P1 sportscar has registered a sub-seven minute time on the rugged and dangerous Nürburgring circuit in Germany. The McLaren P1 supercar averaged 111 mph (178 km/h) on the 12 mile (20.8 km) racing road, just in time for McLaren’s 50th anniversary. Handling the 12-mile track through Germany’s Eifel Forest, P1 and its driver encountered 150 corners, 300 meters of elevation changes and cornering forces of up to 2G on the Nürburgring-Nordschleife. It is the same track where Niki Lauda, the racer whose life was depicted in the feature film “Rush,” nearly died in a wreck in 1976. The track was deemed too dangerous after that and Formula 1 dropped it from its schedule after that.